Ridhima Pandit is an Indian Television actress and model. She acted in different Tv shows and became popular with “Bahu Hamari Rajni Kant”. She also hosted reality show. She also appeared in more than 120 advertisements. 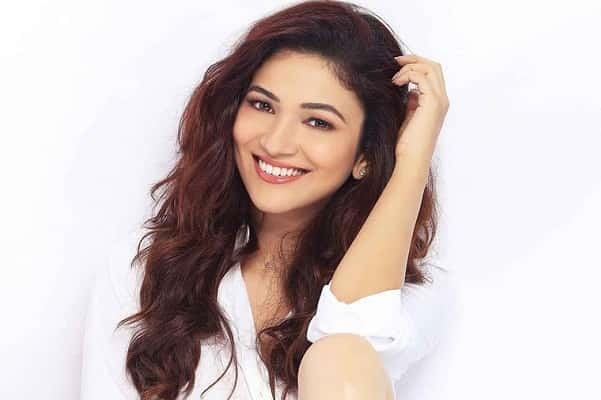 Ridhima Pandit’s net worth is not known. However, she earns INR 40000 per a TV episode. Ridhima Pandit mainly earns through Television shows. She is also a model. She recently hosted dance reality show and is also a contestant of another reality show. Also, her another source of income is commercial Advertisements. Ridhima Pandit was born in Mumbai, Maharashtra. She has an elder sister. She completed her education in Mumbai. From childhood, she is very much interested in acting. There is a rumored that she has a boyfriend Eshan Roshan who is an assistant movie director and is the cousin of Hrithik Roshan. Before entering the television world, Ridhima Pandit started her career as a stage actor, and has done many stage acts. She was part of Nadira Babbar’s Theatre group. She did this for 2 years and later entered into modelling and advertising field. She acted in more than 150 commercials for different brands like Fair & Lovely, Sunsilk, Veet, Luminous, Dove, Harpic, Set wet, Center fresh, etc., She got a chance in TV series called chamak which is not a prominent role. Later, she made her debut as a leading actress in Bahu Hamari Rajni Kant as a Humanoid Robot as Rajni. She became famous for this role. Later, she acted in different shows and also hosted Dance Champions. In 2019, she is a contestant in Fear Factor reality show. Ridhima Pandit was born on 25 June 1990 in Mumbai. Her mother is a Gujarati and father is a Maharashtrian. She completed her higher secondary school from Mumbai boarding school. She completed her graduation and post-graduation from University Of Mumbai in Sociology. She also received training on event management. Her hobbies are singing and reading books especially fiction. Ridhima received Zee Gold Award in the category of Best Debut Award for the serial Bahu Hamari Rajni kant. However, there were controversies that she is not disciplined and lacks cooperation. She also worked as artist manager for Sonu Sood.